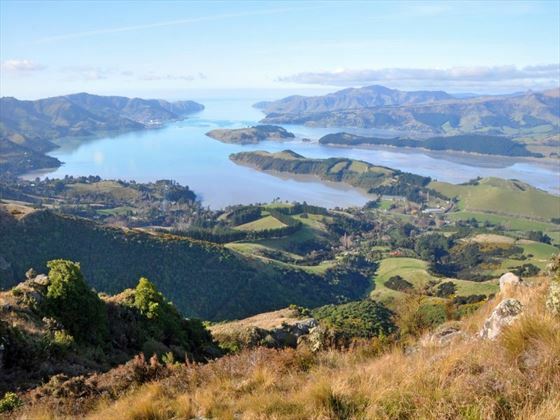 Starting at the top of the North Island in the inimitable Auckland, this 14-day self-drive journey sees you encountering the golden beaches of Coromande, the cultural Rotorua and the magnificent wine regions of Napier. Prices are quoted per person on a twin-share basis. 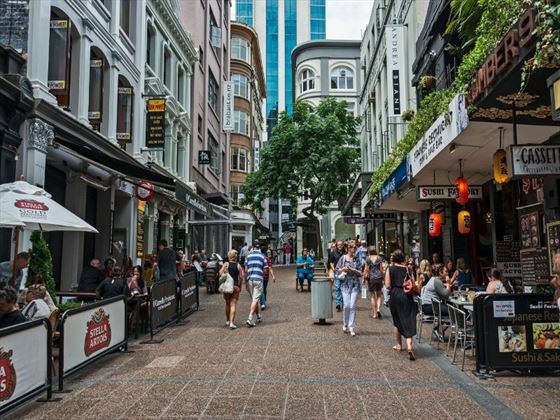 You’ll be met at the airport and private transport will take you to your accommodation at the heart of Auckland. Here you’ll have the chance to relax and shake off the jetlag. Today you’ll pick up your hire car. Your car will be a compact car (Holden Barina or similar) but if you would prefer a more spacious car we can upgrade for you. From here you will make your way to Whitianga at your own pace. You'll cross the fertile Hauraki Plains - one of New Zealand's largest dairy producing regions. Pass the Thames Estuary, and take a short detour to nearby Miranda to see the large flocks of godwits and oystercatchers. 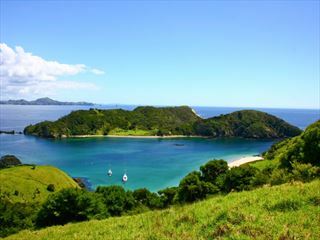 Arriving into the old gold mining town of Thames, there are two different routes to the east coast of the Coromandel. Directly over the Coromandel Ranges will deliver you to the coast in a snappy 45 minutes or if you're after more leisurely route, head North to the Coromandel Township along the Pohutukawa Coast, one of the most spectacular drives in the region and not to be missed. Continue down the coast to arrive in the picturesque town of Whitianga. On day three you will head south from the Coromandel Peninsula you pass through the seaside town of Whangamata - home to one of the best beaches in the region. From here you will come to the old mining town of Waihi which still has an operating open cast gold mine (Martha Mine) that can be viewed from a vantage point just above the town centre. The route now takes you into the Bay of Plenty and the port town of Tauranga before you head along the scenic Pyes Pa Road to Rotorua. For Lord of the Rings fans a detour to Matamata is recommended as this is the location of the Hobbiton film set. Arriving into Rotorua from the north you are welcomed by the spectacular view of the lake. Today you will take a drive through the thermal region just south of Rotorua. Home to a plethora of unique geothermal attractions including boiling mud pits, natural hot springs and steaming geysers, this area is a must do before you move on to Napier. Continue on to Taupo and take some time to marvel at the lake before following the road as it climbs the rugged Ahimanawa Range and then descends back down the Pacific Coast to art deco Napier. The rolling countryside of the Hawke's Bay leads you into some of New Zealand’s richest farmland, located around the Manawatu region. Passing along the Manawatu Gorge the Wairarapa welcomes you. Today you’ll take the wonderfully scenic ferry ride from Wellington Harbour to Picton on the South Island. On the way you’ll pass the Red Rocks seal colony, Marlborough Sounds and the spectacular Kaikoura Ranges. 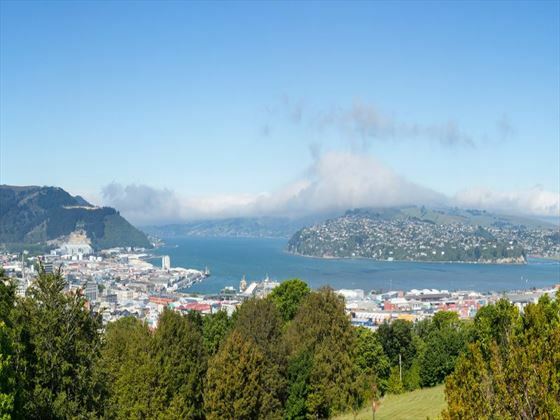 On arrival you’ll pick up a new hire car and travel to the city of Nelson via Queen Charlotte Drive. Queen Charlotte Drive travels the Marlborough Sounds coastline between Picton and Havelock. Magnificent views of the sounds can be had from many vantage points so allow plenty of time to enjoy the scenery. Crossing the Bryant Range you arrive onto Tasman Bay and the city of Nelson. Leaving Nelson City you will pass through the suburb of Richmond, through the Nelson Lakes and Kahurangi National Park region and head south Westport. 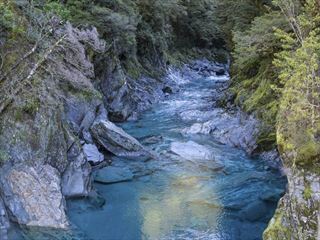 Drive along the Buller Gorge, enjoy some wonderful scenery as you follow this magnificent river. Continue on your journey through Inangahua, Punakaiki where you will pass through Paparoa National Park and onto the township of Hokitika. A busy port in its heyday and built on the pioneering spirit of the West Coast settlers. Take some time to explore the town’s great old buildings and you will also find some fine restaurants and cafes. Leaving Hokitika you’ll go through the old gold mining town of Ross. Home to one of the few working mines left in New Zealand. Continuing South you’ll pass through Harihari and continue on through Whataroa, a small township, home to some of the world's rarest birds - the New Zealand White Heron and the Kotuku. Arriving into the glacier region you’ll catch your first glimpse of the Franz Josef glacier before coming into the township - a lively place with a great atmosphere. Today you will head south you pass the second glacier town of Fox Glacier. At Knights Point Lookout elephant seals can often be seen basking on the sandy beaches at the far end of the point. Crossing the massive Haast River you turn inland and head into the valley climbing through mountains littered with waterfalls. 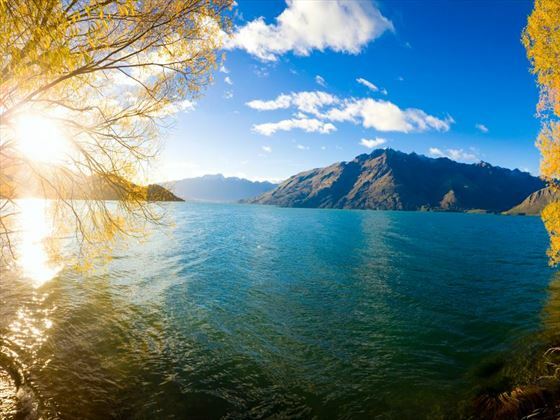 Lakes Wanaka and Hawea guide you into the township of Wanaka before you head over New Zealand's highest sealed road, Crown Range Road before dropping into Queenstown. 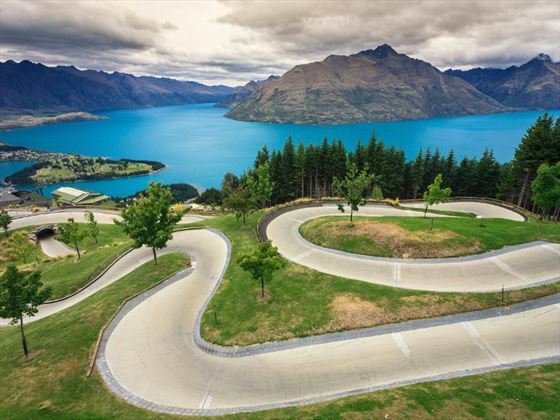 Today you’ll have the opportunity to explore Queenstown, New Zealand's ‘adventure capital’. Take a leisurely lakeside stroll or ride the gondola for breathtaking views. 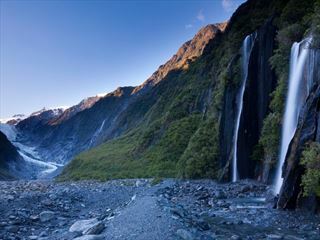 Venture further afield into the Fiordland National Park or head over the Crown Range to Wanaka. Drive through Lord Of The Rings country - or for the really fanatic, jump aboard one of many dedicated LOTR tours. 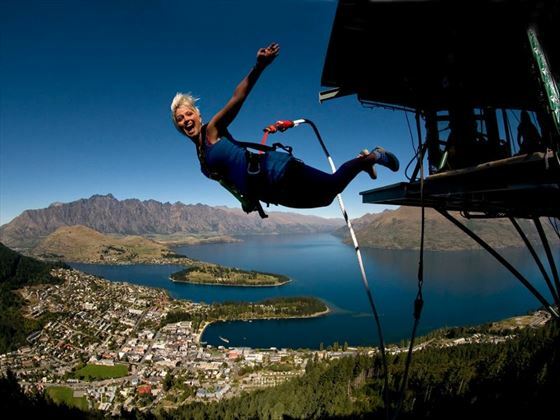 And after all of that - if you do really want the adrenaline rush Queenstown is known for, take your pick from the Shotover Jet, Nevis Bungy, Canyon Swing, Zipline, Luge or Heli-ski. Today you will follow the shores of Lake Wakatipu. The Remarkables mountain range towers over you as you approach township of Kingston. You'll venture into Southland before crossing the rolling tussock-lands of Mossburn (deer capital of New Zealand) and shortly arriving into Te Anau, gateway to Fiordland National Park. 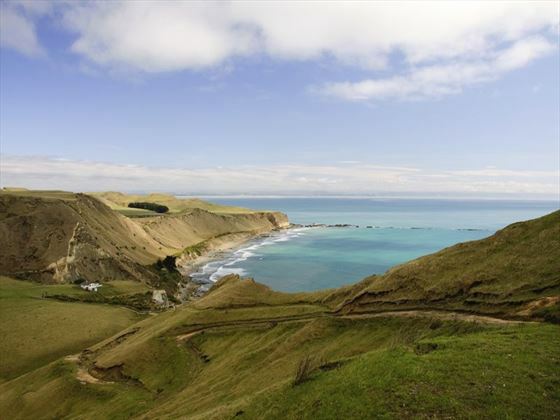 Today you will drive from Te Anau to Dunedin which will take you through classic Southland farmland scenery. 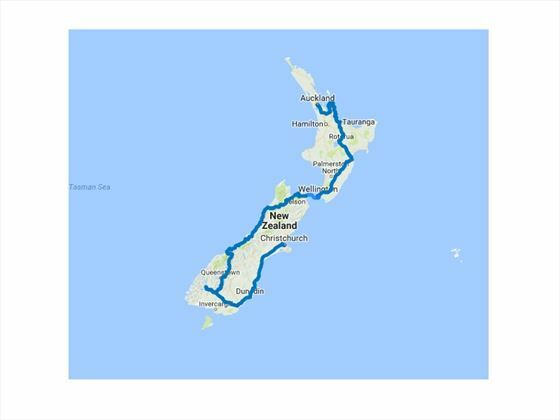 Following the incredible Otago coastline to Invercargill the route passes through Manapouri and onto Tuatapere before Colac Bay and the fishing town of Riverton. 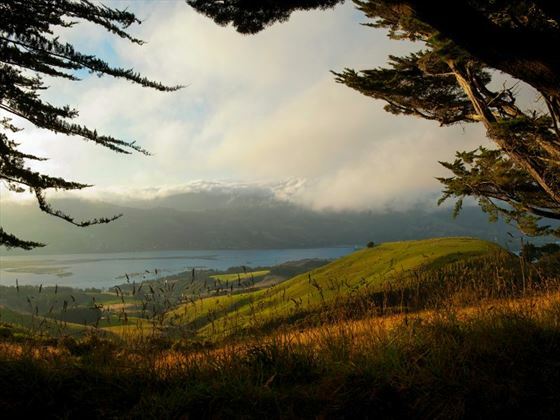 From Invercargill the route hugs the coastline and there are many side-trips to secluded and deserted beaches and bays to explore before you arrive into the remarkable Edwardian City of Dunedin. Today you will head north from Dunedin and stop in Moeraki to explore the famous and unique Moeraki Boulders strewn on the beach. Next is the port town of Timaru is and then the vast Canterbury Plains. Crossing New Zealand's longest bridge at Rakaia you can view some great examples of the South Island's famous braided rivers. Arriving into Christchurch City puts you close to the airport and the International Antarctic Centre, a visit is highly recommended. Transfer to the Christchurch airport for your onward arrangements.